The Lavanila Pure Vanilla is a must-have for anyone who loves vanilla. It's pure delicious vanilla with a comforting sweetness to it. This does not smell like cupcakes or cookies, which is what a lot of vanilla-based scents tend to smell like (and I like that version too). Rather, it's a soft, warm vanilla that smells quite grown-up, with just a hint of fresh floral notes. I could wear Lavanila Pure Vanilla any time of the year, but it would be a great fragrance to wear during cooler months and/or evenings. Fragrance Notes: Spanish Lavender, Rose Absolute, Violet Leaf, Madagascar Vanilla. For the longest time, I used to hate lavender-based scents - going only by what was sold as lavender in bath and body products - and then I smelled a sprig of dried lavender and fell in love with the smell. The Lavanila Vanilla-Lavender perfume reminds me of that. It starts off with a fresh sharp herbal scent from the lavender with the vanilla notes getting more prominent as the perfume settles in. While the lavender notes are the most dominant in this fragrance, I do get hints of rose and the freshness from the violet leaf blended in the perfume. 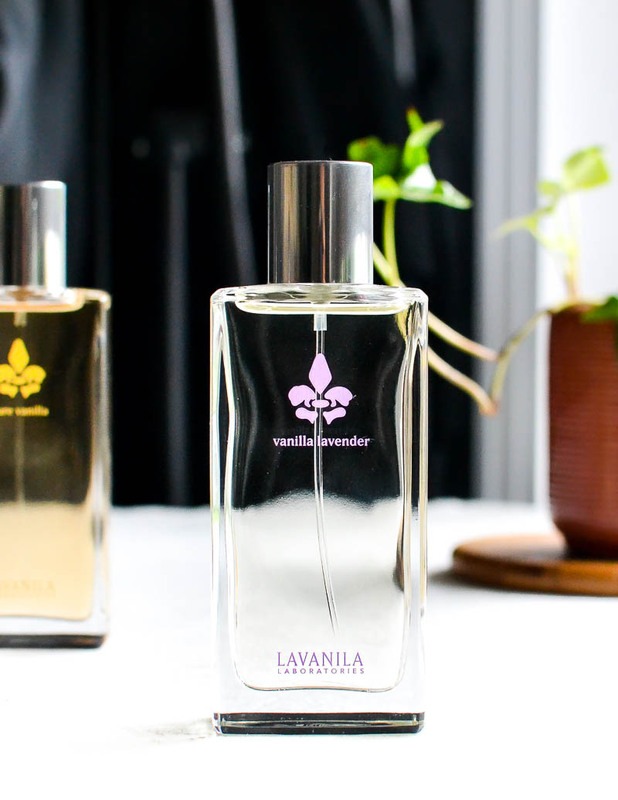 Lavanila Vanilla Lavender would be my pick for a spring-summer day perfume. 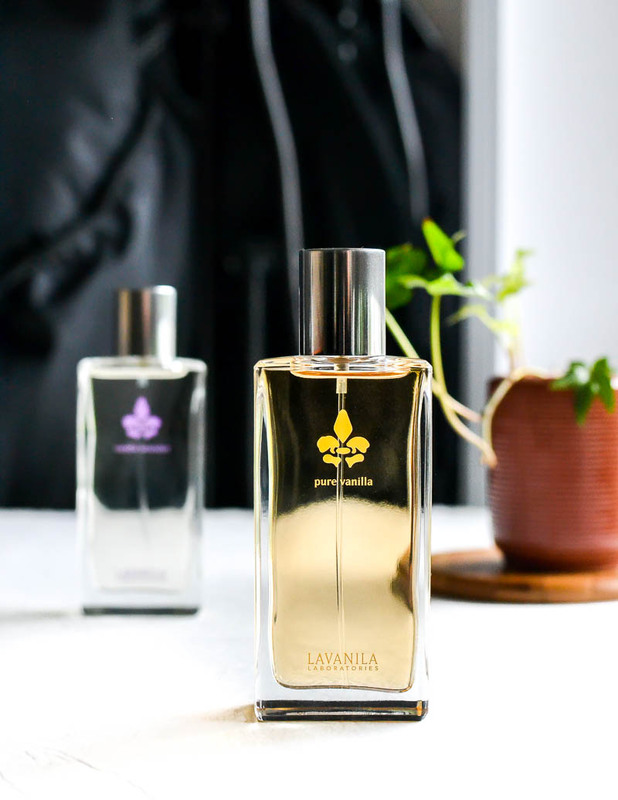 What sets the Lavanila fragrances apart from most other perfumes I have tried is how truly pure and natural these perfumes smell. 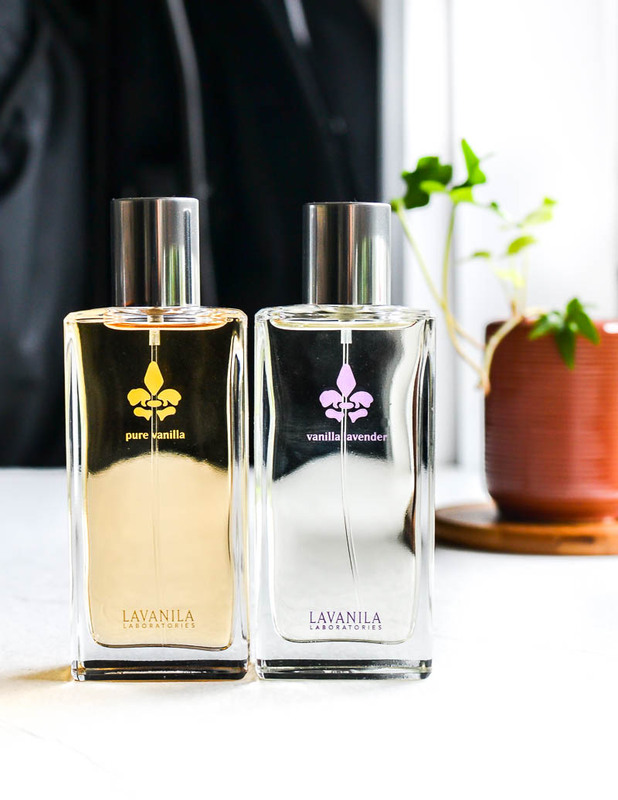 Lavanila fragrances are created using pure essentail oils, and these perfumes have a very fresh, natural scent that truly reflects this. The notes are rich and fresh, but the perfumes never smell too strong or cloyingly sweet. I could easily wear these to work without worrying about bothering anyone with a sensitive nose, Perfect to wear every day. and any time I want to smell good but not really like I am wearing perfume.